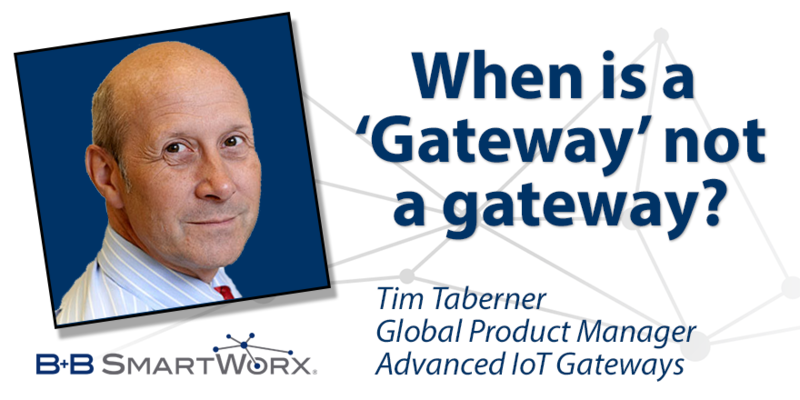 Tim Taberner, of B+B SmartWorx, explains how multiple interpretations of the IoT terms make it difficult for users to describe or research potential solutions. 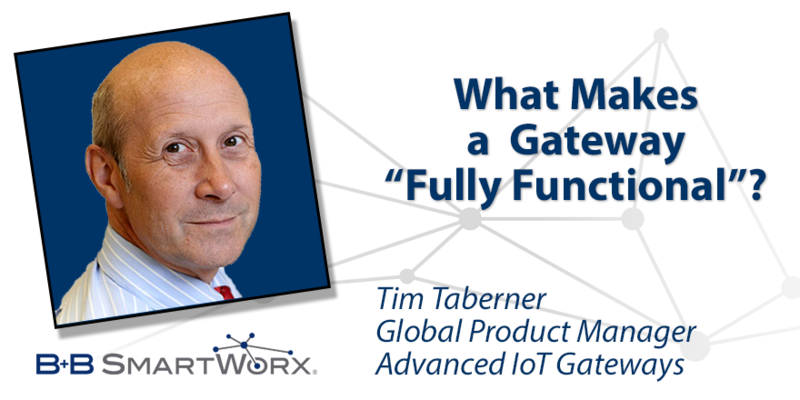 When is a ‘Gateway’ not a gateway? 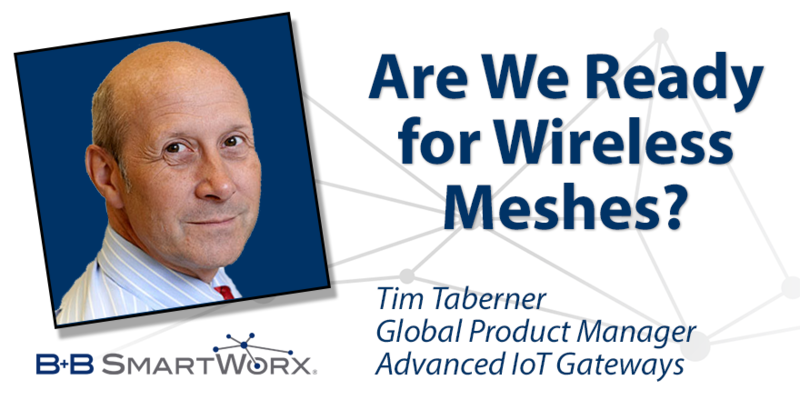 Tim Taberner, of B+B SmartWorx, looks at the traditional problems of using wireless mesh networks in industrial applications, and suggests a solution. 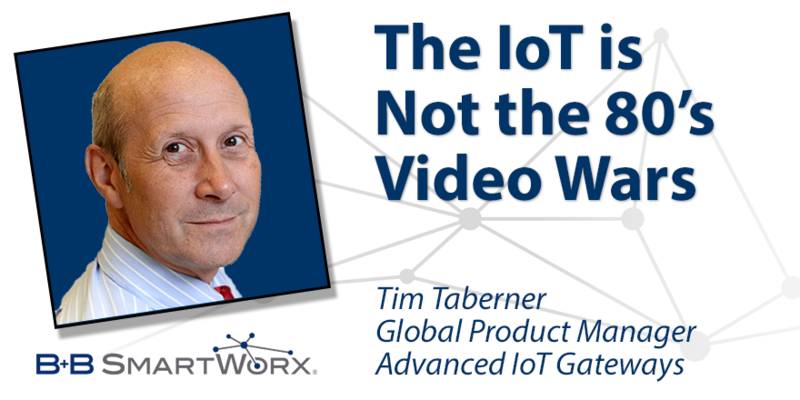 Are there standards in the Internet of Things? Should there be? 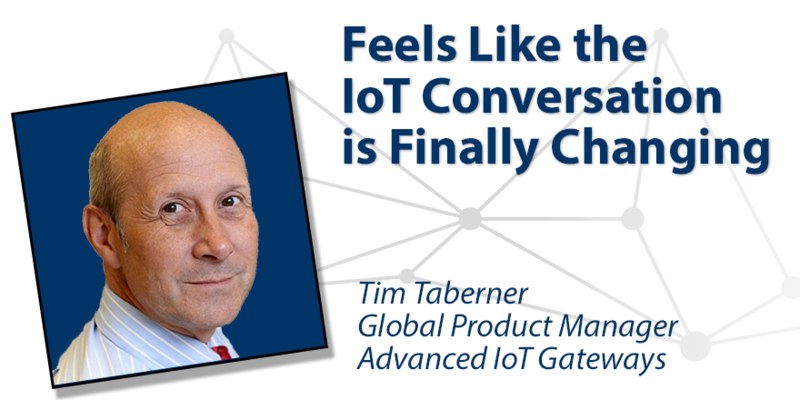 Tim Taberner's thoughts on IoT. 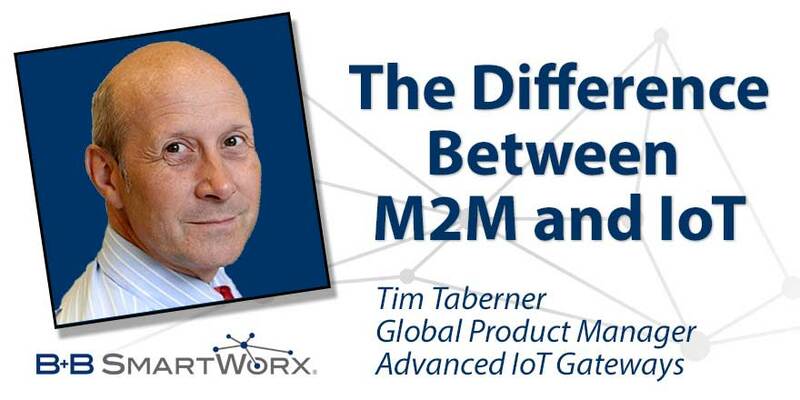 It finally feels like the industry is coming round to injecting a bit of reality in place of the hype.